Defending champion Rafael Nadal won his game against Ryan Sweeting 6-3 6-2 6-4 to move swiftly into round three at Wimbledon. Sweeting, the world number 69, managed to break Nadal to make it 2-2 in the third but the Spaniard reasserted his dominance and quickly sealed victory. Nadal was in control throughout his match apart from a brief moment in the third set when he seemed to lose concentration and his American opponent, until then utterly outplayed, took his moment to break back in the fourth game – a fine drop shot sealing it. 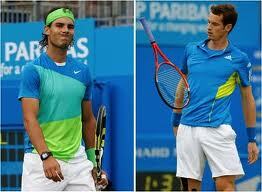 Nadal will face Gilles Muller of Luxembourg, the only man other than Roger Federer to beat him at Wimbledon in the past six years. 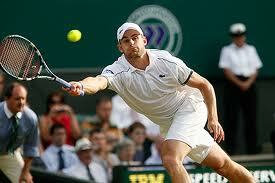 Eighth seed Andy Roddick also won 6-4, 6-3, 6-4 as he brushed aside Victor Hanescu of Romania. The American hit 15 aces, saved the only break point he faced and limited his unforced errors to six. In attendance and watching Roddick’s game were his parents sitting at Center Court. Andy Murray beats 6-3 6-3 7-5 over Germany’s Tobias Kamke. Kamke, ranked 83, could do little to halt Murray, who needed one hour and 57 minutes to progress to the third round, where he will meet Ivan Ljubicic.